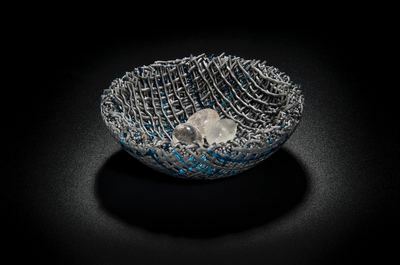 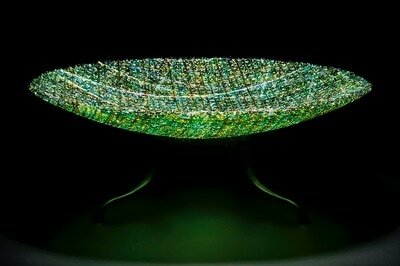 I am best known for the glass cloth pieces made from fine strands of glass fused together and shaped to become three dimensional artworks, ranging from free-standing sculptures to opulent bowls. 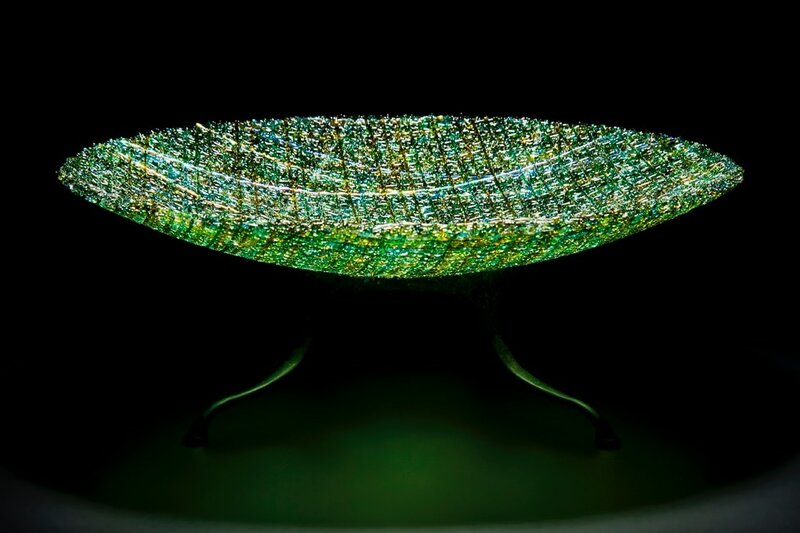 The vibrant surfaces of these pieces appear to move and shimmer, exploiting texture, light and colour in surprising ways. The apparent frailty of the glass is balanced by the strong dynamic forms. 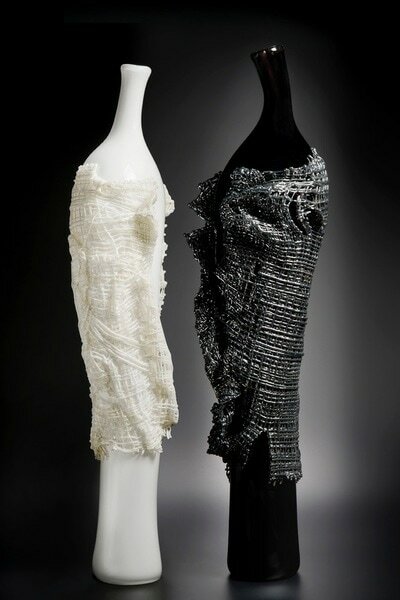 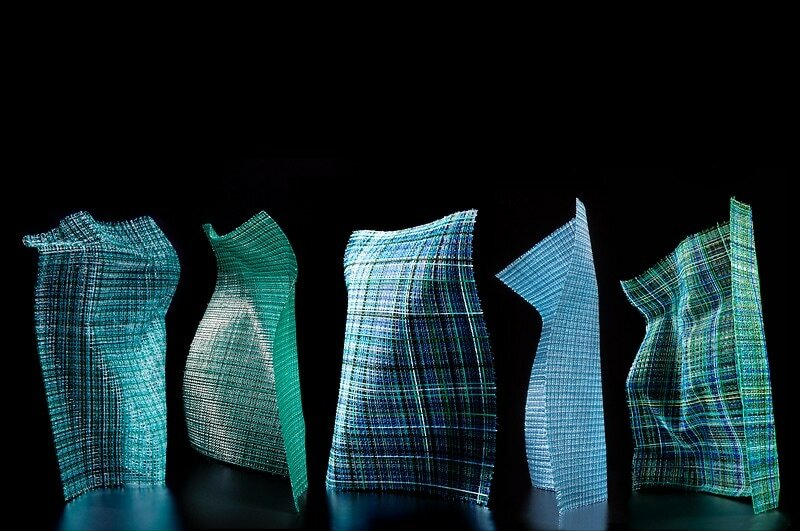 Recently I have also enjoyed utilising the interplay between the different techniques of blown and fused glass to produce the the large figurative Cloaked pieces. I began my arts career as a graphic designer but went on to study glass after moving to Connecticut with my family. 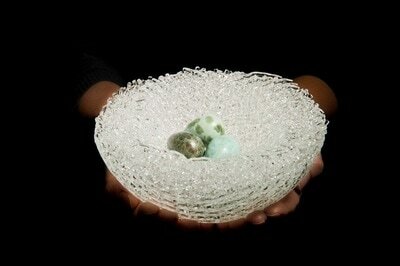 On returning to the UK I studied kiln formed glass and blown glass in London where I now have my own studio. By experimenting with colour and technique my aim is to produce pieces that are tactile, tangible, intriguing and enduring. 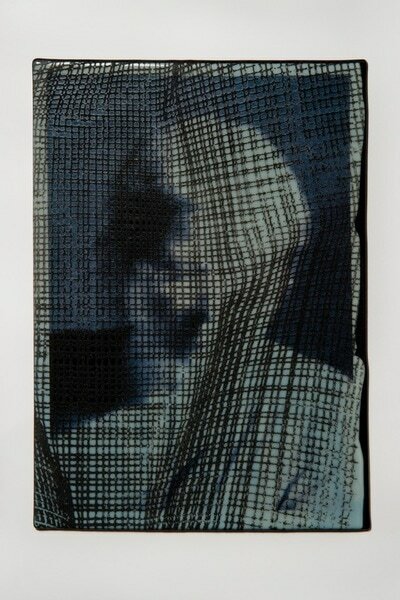 My work has been exhibited widely and collected internationally.